There is nothing more refreshing than a beautiful before and after. 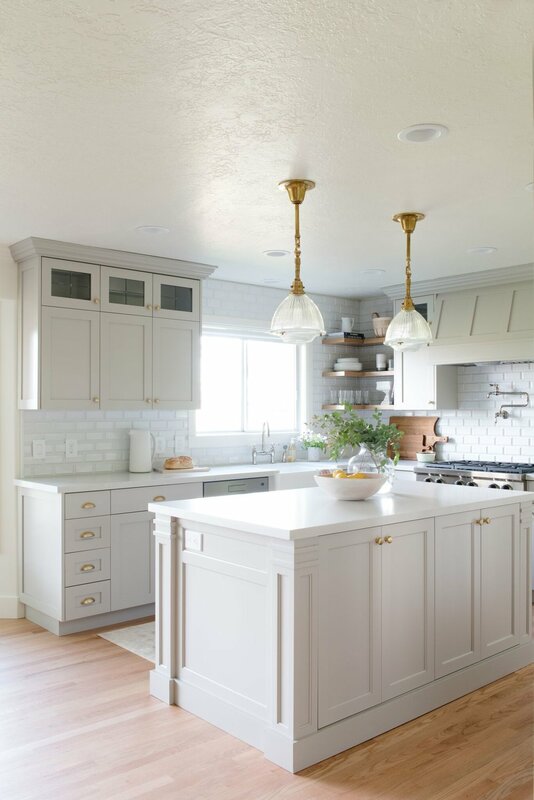 This remodel was a complete transformation — from removing the soffit, tiled counters, rearranging the islands, and more. 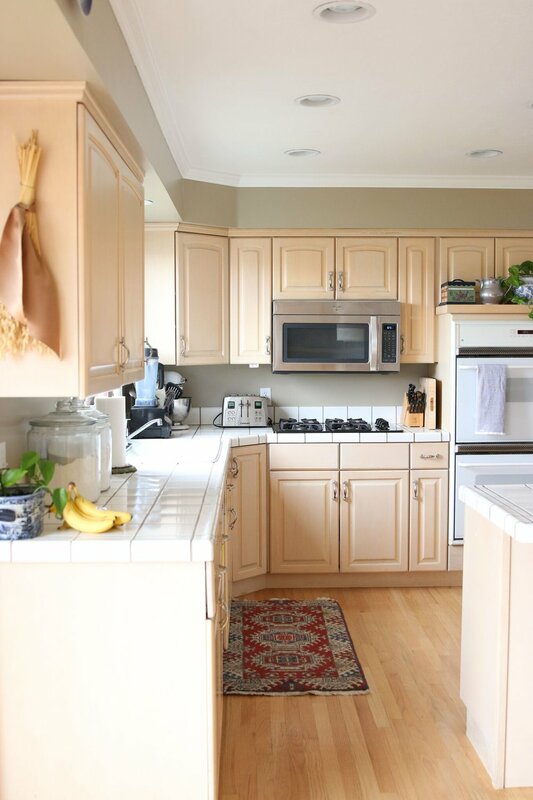 We completely gutted and gave this kitchen a huge facelift. From new appliances to new plumbing from Kohler, we loved how this project turned out! The color palette tends to be the element we take on first, and our client wanted something that was light and airy without going the all-white route. We went with a soft neutral palette of warm grays and light marble countertops with a white backsplash. These kept the kitchen warm and bright while also feeling different and unique. 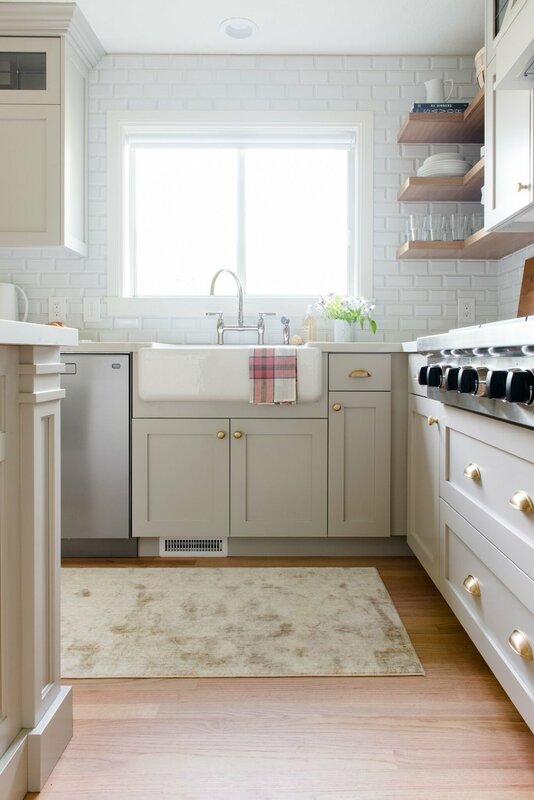 We chose a polished nickel faucet and a pot filler with cool lever handles and a beautiful farmhouse sink. 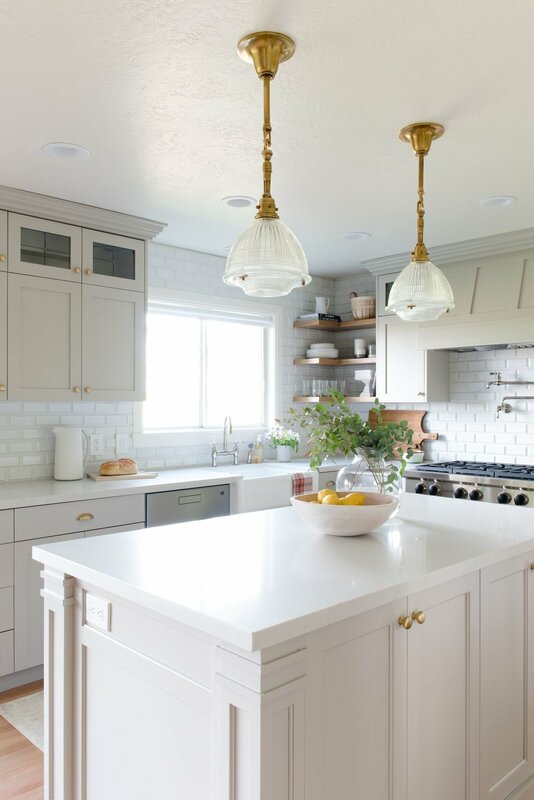 Brass hardware and natural open shelves add warmth and detail. The client wanted a backsplash that you don't see every day in white. We went with tile that has beveled details to create unique dimension. 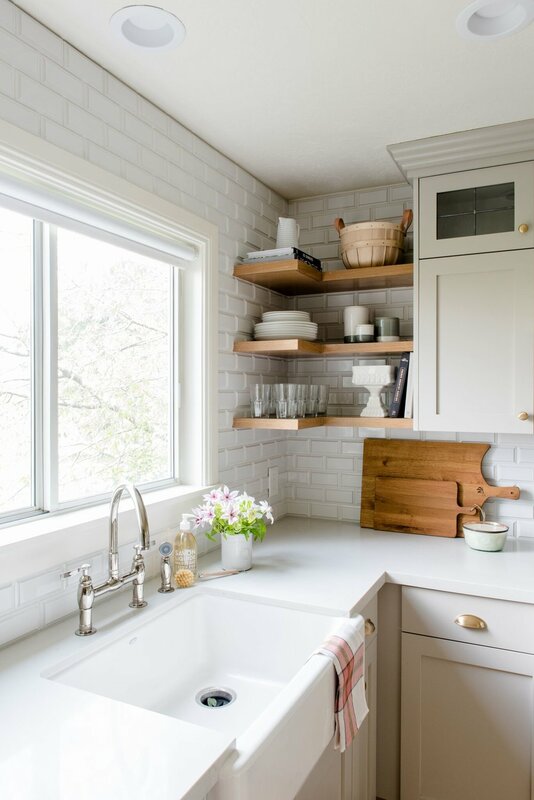 To keep the kitchen high-end, we took the cabinets all the way to the ceiling, included leaded glass detail in cabinetry, included a pot filler, a built-in fridge, and changed the island to be rectangular. But the best part might be the pendant lights! We wanted to a create focal point so we put two symmetrical cabinets next to the hood and added open shelves to the corner for balance. The shelves wrap around so you can enjoy them from every angle. The Kensington runner was a no-brainer with it's golden hues and minimal pattern. Ideally, we fill a planter by the sink with fresh flowers but it also works as a place to hold scrubber. Using a harvest basket is a great way to break up the other kitchen items and bring some character and charm to the shelves. We added a compote square dish for subtle glam and a darling creamer for a little bit of pattern. We weren't sure if we should choose to include seating or create more storage with the kitchen island but ultimately chose storage because there's seating in this adjacent dining room. The dining table is rich and classic, and pairs so beautifully with the Darlana Linear Pendant.